There is no need to pay expensive attorney fees. New York Medicaid Consulting LLC charges a single flat fee and can meet all of your Medicaid needs. Even if you have assets you can qualify for Medicaid benefits. Proper Medicaid planning allows you to qualify for Medicaid benefits and still protect your assets and income. You can qualify and obtain Medicaid benefits and remain in your home. You do not need an attorney to protect your assets and qualify and obtain Medicaid benefits. New York Medicaid Consulting LLC is dedicated to providing the highest quality Medicaid services. Medicaid is our specialty and all that we do. 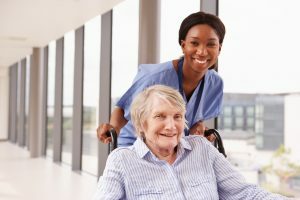 Whether you are in need of Community Medicaid for home care services, or Institutional Medicaid to cover the cost of a long-term care facility, New York Medicaid Consulting LLC will develop a plan to protect your assets and income and obtain the Medicaid benefits you need. Call us today for a free consultation.